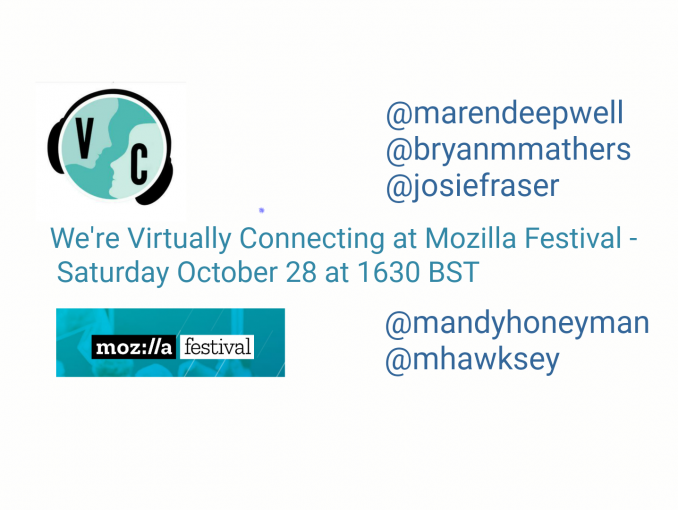 While #MozFest sessions are livestreamed and recorded, we’re offering a conversation about the conference, with Martin Hawksey as onsite buddy, bringing with him guests Maren Deepwell, Josie Fraser, Bryan Mathers and others. Mandy Honeyman is our virtual buddy for the session. To join, please leave a comment below or Tweet/DM @vconnecting on Twitter.